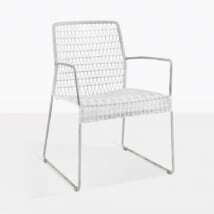 Its siblings are bolder, but the Metro Wicker Outdoor Dining Chair in White has its own brilliance and perhaps best showcases the immaculate build quality and capability of this stunning outdoor dining chair. Simple in color, sophisticated in style, this dining chair is a contemporary and yet, timeless piece of outdoor dining furniture. W25" x D22" x H32"
A tight, firm and yet, lightweight dining chair perfect for any setting; built for a long life in the potentially harsh outdoor setting. The Metro Chair is as stylish as a piece can be, without having too focused a look. Without question, this versatile piece can work in so many different settings, with so many different dining tables and for so many different themes, from casual to more formal. 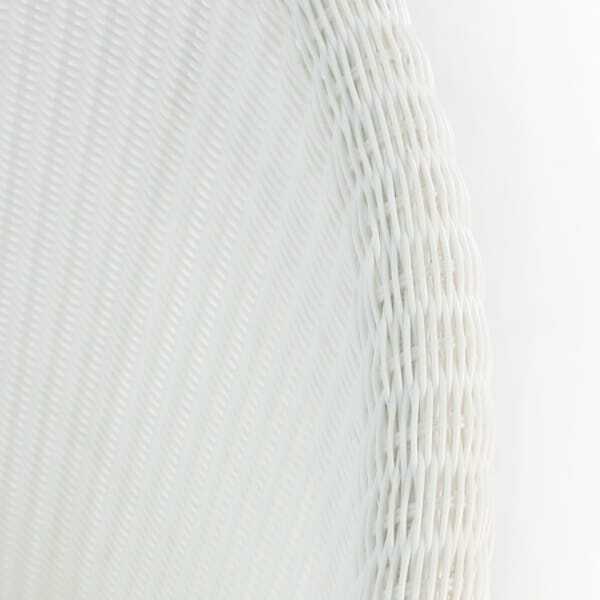 For the money, you cannot find a better mix of style, comfort and materials. 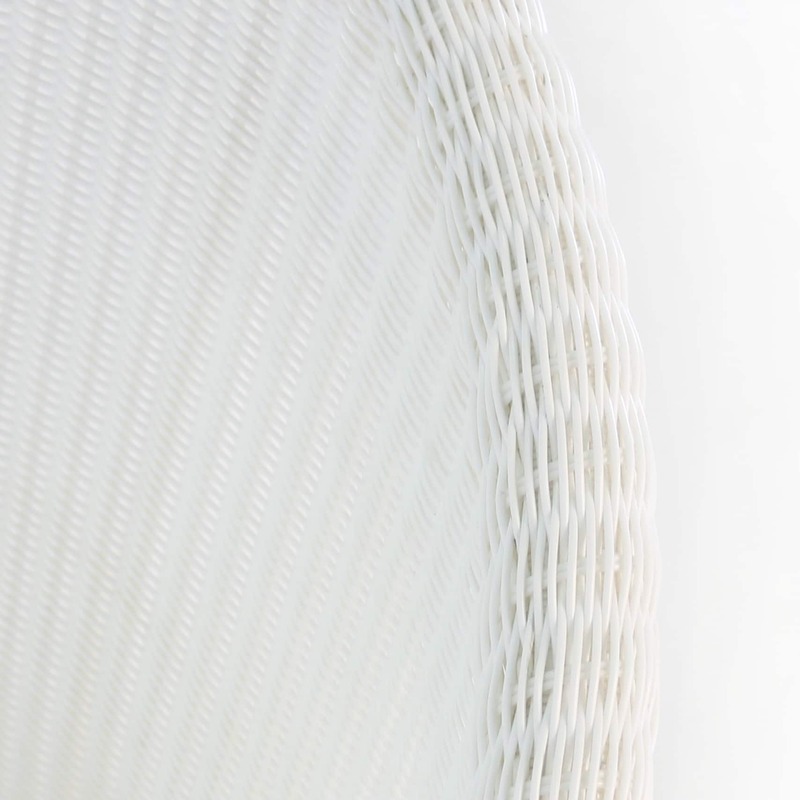 The materials used in the Metro Outdoor Wicker Dining Chair are top-tier materials, including powder-coated steel, which provides a solid and long lasting base for the gorgeous weave of synthetic outdoor wicker fiber by Ecolene®. The Ecolene® outdoor wicker is a smooth, approachable, easy to care for synthetic wicker with impressive technical attributes. Meeting or exceeding industry standards, Ecolene® has built a reputation by providing vibrant colors that don’t fade, smooth extrusions that remain supple and comfortable during outdoor weather and temperature extremes, and last for a very long time. 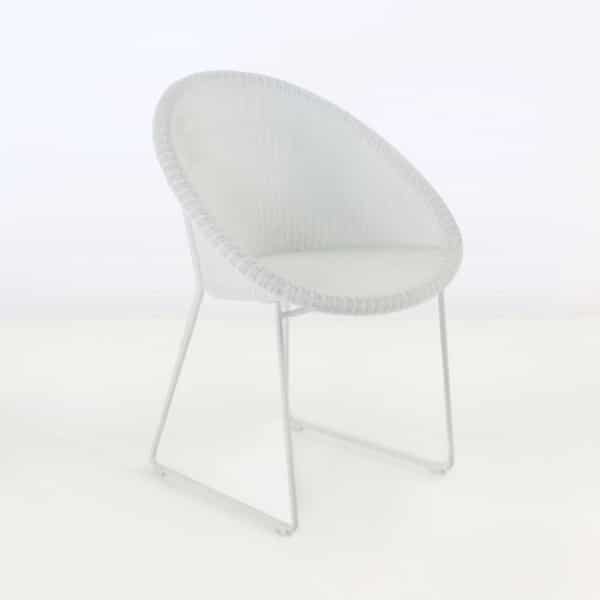 Teak Warehouse has a gorgeous portfolio of outdoor wicker chairs, from relaxing chairs and lounging chairs to other wicker dining chairs, in case the Metro outdoor Wicker Dining Chair in White, isn’t your ideal fit. Rest assured, the quality and good looks of the Metro dining chairs are indicative of the fine quality and beautiful styles we have in the rest of our dining chair lines. Teak Warehouse has an exceptional range of outdoor furniture. Our impressive clientele can tell you, we take our business seriously. From Five Star resorts and Hotels, to famous restaurants, but also in the backyards and patios and on the boat decks of many thousands of individual residential customers, our outdoor furniture is made to last a lifetime, while offering the peak of comfort, beauty and versatility. 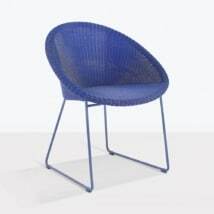 The Metro Outdoor Wicker Dining Chair encompasses what we do as a company in a single dining chair. We offer beauty and style, in approachable and comfortable pieces of furniture, built to last in the harsh outdoor conditions, using the premium materials that most other outdoor manufacturers don’t. The Metro Outdoor Wicker Dining Chair in White is beautiful, comfortable, stylish; built to last in harsh outdoor conditions and uses the finest materials available. It is also in stock, and available now. Perhaps this is the perfect outdoor wicker dining chair?